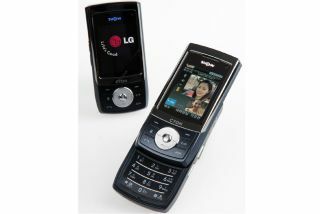 LG today launched a new mobile with high-speed download rates: the LG-KH1300. The company claims it can download a single song in just seven seconds. The phone uses Wideband Code Division Multiple Access (WCDMA) mobile broadband technology, similar to that used on 3G networks in the UK, Japan, Germany, Italy, Taiwan, Hong Kong and Australia. Not surprisingly one of the key features of the LG-KH1300 is its ability to playback MP3 audio tracks. However it also includes a 1.3-megapixel digital still camera and personal organiser features such as the ability to access bank account information while away from home. Available in Souh Korea only, the LG-KH1300 will be on sale for 400,000 Won (£220).